Classical music is said to be on the verge of extinction. Optimists proclaim traditional classical music is alive and well. The tradition of attending classical concerts and operas is dying, and the new “classical music” written today fails to draw a young audience. Classical music itself is still alive, but it left the concert hall long ago, and moved to another place. The shift, though, has been overlooked. The world of media sits comfortably over the classical world. It’s fresh, it’s clean and it pays very well. Classical music has evolved into music for film, television and video games. In those forms, it has been more popular than ever. Music for media, like “The Lord of the Rings” film score by Howard Shore, is just as classical as Beethoven’s Symphony No. 5. The score uses classical instrumentation and makes great use of long-established classical music conventions. If you click here and listen to any part of the score, I’m sure you’ll agree. “Game of Thrones” makes use of classical music, especially in their intro here. In video games, almost all big-name titles carry a classical soundtrack, or a classically influenced one, best seen in Nintendo’s “The Legend of Zelda” 25th anniversary CD here. These are only some popular examples. The best recent examples: “Star Wars: The Force Awakens” ($880 million domestic and soon to be many more millions), “Interstellar” ($675 million gross worldwide), “The Imitation Game” ($227 million gross worldwide), “Spectre” (an incredible $877 million gross worldwide so far), “Downton Abbey” (season five finale U.K. viewer number of 8.29 million), “The Elder Scrolls V: Skyrim” (20 million copies sold), “Call of Duty” (franchise total of 146 million copies sold) and “Final Fantasy” (franchise total of 110 million copies sold) are others. Hey, even kids movies like “The Good Dinosaur” ($293 million gross worldwide so far) and “Night at the Museum: Secret of the Tomb” ($363 million gross worldwide) got in on the action. Of course, not all movies, television shows and video game soundtracks have classical origins, but enough do to show that classical music still carries great influence, and has changed substantially to reach a popular, modern audience evidenced through massive media sales. Attending classical concerts is a wonderful experience, but media has a far greater reach to the public than any concert can provide. The music works its way into people’s minds and emotions, and impacts their perceptions, but on a more personal level. Many teenagers playing “Skyrim” would never think about attending a classical concert, yet they talk about how much they love the soundtrack. When classical music is presented through popular, mainstream media, people like what they hear. They love the “Halo” soundtrack, the “Inception” soundtrack and everyone knows “The Simpsons” theme. Being an active participant in a media experience further enhances the musical connection. When you play as Master Chief in “Halo,” you hear the main theme accompany the destruction of a city by a Scarab, associate the music to the activity and the atmosphere, and you remember it. If you’ve ever seen “Spirited Away,” don’t tell me you aren’t instantly transported into Sen’s journey when you hear this. Music in media not only rewards the audience, but the composer as well. 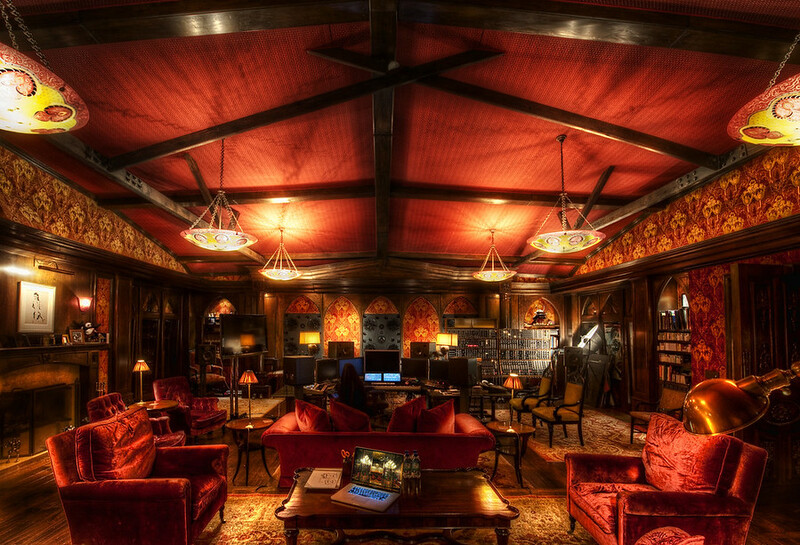 Hans Zimmer’s net worth is $90 million (here’s that famous picture of his studio) and Jeremy Zuckerman, composer for the hit TV show “Avatar: The Legend of Korra,” can live comfortably. If one of the goals is to make money, media is the place to be. Writing for media also allows composers the freedom to write their own personal pieces on the side while staying relevant in the mainstream. Besides making money, film, video games and TV have also generated great modern classical pieces. Sometimes, composers are allowed freedom to push the very limits of “proper soundtracks,” which in turn pushes the limits of classical music itself, as seen in “There Will Be Blood.” However, more conservative soundtracks, “Born Free,” “Out of Africa” and many older movie themes remain some of the best classical pieces of the last century. If you ask people on the street to hum something from “The Lord of the Rings,” many will be able to do so. If you ask them to hum one of Eric Ewazen’s brass trios, most won’t be able to, and that makes sense, because the brass trio has never been part of that person’s life. In the distant future, more people will remember classical music like “Jurassic Park’s” soundtrack, not works by John Luther Adams (however much I like John Luther Adams), because media is where some of the best modern classical music lives on.